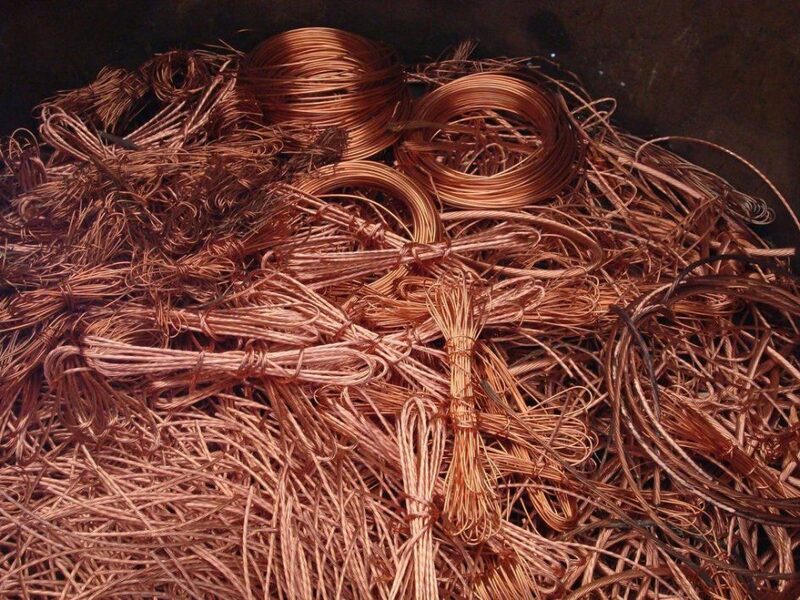 In the United States alone, copper thefts have more than tripled in the last 5 years. Combine that with the dramatic increase of construction within the same time period and it is easy to see why preventing copper theft has become so important. For a better perspective, in 2010-2015, roughly $15 Billion was spent on public construction, during that same time one-third of that was stolen, at an average of 1 Billion/ yr. With numbers like these, one would think that this topic would be extremely high on the radar of most construction agencies and general contractors, but copper is located in almost any building material from copper pipes used in plumbing, the copper wire used in electricity, or even copper plugs used in a/c units. So the reality of stopping copper theft will never be to keep it hidden, but there are certain steps that can be taken to cut c losses dramatically. We’ve all been walking down the street and come up to a blocked sidewalk or beside a chain link fence, and usually, that’s more than enough to keep us out and walk around. For criminals, that same obstacle is their golden ticket; it’s the easiest way for a possible thief to make his way on to a site or location, behind an open gate or door. Believe it or not, there are still multiple companies that use this as their only method of theft deterrence. With the technology and resources available this day and age securing any property, construction or not, is completely form fit and customizable to any need. Whether it’s one door you want to keep an eye on while you are not around, or every floor and angle accounted for and documented, there is an option for either and any in between, the possibilities are virtually endless. Recently introduced, is a virtual security guard service that takes all of the uses of a physical guard and maximizes the capability. Two-way audio communications also exist, and can be used to vocally deter any threat before it even begins. If you’re a company that doesn’t feel that is necessary but would rather just look in and see every hour on the hour how a project is progressing in a still frame with a capability to go back and review and suspicious activity, you can now do that too. The list goes on and on and the more we learn about effective ways to oversee our properties, the more we can prevent copper based crime. There are more traditional proven methods that still work for those still wary of the power of technology. The most proven method is to have an actual physical guard present onsite to monitor and secure checkpoints throughout the day or night. Other ways that are less actively used but still efficient would include; marking any copper on site with something to show that it’s directly correlated to the specific reason or location, centralizing the location of all copper in one place and placing more security measures in place, whether a separate locked fencing or unit specifically for the valuable metal. These methods have been used and proven multiple times, and after a few trial runs, are easily perfected granted the capabilities of the possible thief’s, and the average amount of thefts in copper crime in any given area. It doesn’t take much copper at all for thieves to make a good profit, in fact, the amount of copper in only a penny ($.014) is worth more than the penny itself($.01). One of the fastest growing niche industries within the security field is specific of stopping copper theft. Copper theft is generally thought of as a victimless crime, repair personnel and the thieves themselves can be fatally injured because of the damage that copper theft poses. Make sure you have the right security measures in place for your next project to be on the other side of these statistics. 55% of all copper theft happens on commercial properties, Still leaving 45% to residential. Making security on both equally as important. 96% of all metal theft between 2009-2011 was pure copper. Breaking down as follows: 35% copper pipe, 24% copper wiring, 20% A/C wiring, 8% copper tubing, 6% copper line, 4% copper roofing, 3% copper coil.